Hi everyone. I install the latest launcher(0.2.1.9.0). But I can't download coreets2mp.dll The download gets completed but nothing change at all. And in "C:\ProgramData\TruckersMP" there is no coreets2mp.dll I reinstall the game from steam and I redownload and reinstall the launcher. But not work. Here I completely explain about my problem. I reinstall the game and the launcher. But still, I can't download the "coreets2mp.dll" file. And I ask again. Is there any way to know what is the file size of the recorded demo? Thanks. As far as I know, after we report a player a 2 minutes clip will recorded and sent to moderators, right? I have a limited bandwidth Internet. Is there any way to know what size the clip will be? Didn't work! The file downloaded till the end but I have to download it again and again...! I can't download the "coreets2mp.dll" at all. Won't work for me! The previous version too! The previous version was giving me "Unsupported game version detected" error. And now with this version. When I press "Install available updates", the "system" update downloaded with no problem, but it couldn't download "coreets2mp.dll" It download till the end(12.92Mb). But nothing change and I have to download the file again and again and again... This is the launcher before the update: This is during downloading the updates: And this is after the download: I looked here for the "coreets2mp.dll" file. "C:\ProgramData\TruckersMP" This file is not there! Why the launcher can't download the file? And I have the latest game version. (1.27.2.9s) Same here but with ETS2. Didn't work for me yet. I tried every solution in the forum. But no luck. I try this method but my problem still exist! My game version is 2.27.2.8s and I install the latest version of the launcher. (Released on 27 June) Auto update is disabled and I set beta to "Opt out of all beta programs." Thanks for the answer. I tried this method but it didn't solve the problem. Nothing change at all. In the description, it says "The latest version supported". So, there is not need to downgrade I think. And the auto update is disabled. I press F1 and the files downloaded again but nothing change. I install the launcher couple of times but nothing happened! Hi, everyone. After the last update(2.27.2.8s) I can't play multiplayer anymore. I update the game to the latest version andI disable any beta updates. I download the latest version of truckersMP launcher but it gives me "Unsupported game version detected." error! The thing is on the upper left side of the launcher, it says "Current patch version: 0.2.1.8.2" But on the website, it says the latest version is 0.2.1.8.3. I delete the "core_ets2mp.dll" file and let the files download again but it didn't help. I set the game path in InstallLocationETS2 in regedit but it didn't help too! So, I really don't know how to fix this problem. I really appreciate if someone tell me how to fix the problem. Thanks, Hossein. ^ I tried this before. I send a ticket to support team. Hi. I have the same problem. I have the latest version of the game. 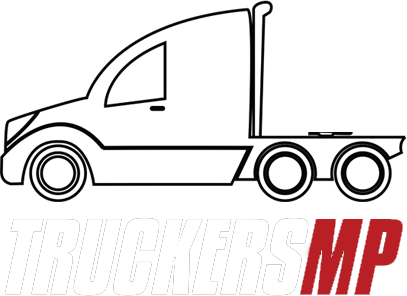 (1.27.2.8s) And I install the latest version of truckersMP. But when I try to run the game from the launcher, it gives me "Unsupported game version detected" error. How can I fix this? I try this but it didn't fix anything at all. I can't play ETS2 yet. Unsupported game version detected error!